Information in news articles is current as of the date of publication. Product specifications and other details are subject to change over time. Sturm, Ruger & Company, Inc. (NYSE-RGR) proudly introduces Beth Walker as the seventh addition to Team Ruger. A 17-year-old, 3-Gun competitor, Walker is Team Ruger's first junior shooter. 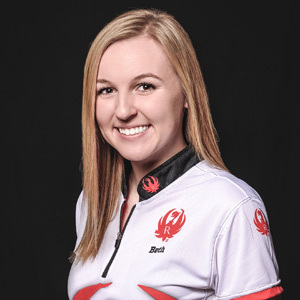 "We are proud to have Beth on board as Team Ruger's first junior competitor," said Team Captain, Doug Koenig. "She is a fine example of the next generation of competitors in the shooting sports. Beth's wide-ranging shooting skills pair nicely with Ruger's diverse product line, and we are excited to see her continue to develop her skills." "I feel very blessed to have the opportunity to join Team Ruger," said Walker. "I admire their faithful support of the Second Amendment and the outdoor industry and I am looking forward to growing as a competitor through the guidance of an amazing team and iconic company." In addition to competing and participating in organizations that support women in the shooting sports, Walker serves as the Indiana Chairwoman of the emPOWERed organization and holds the role of Social Media Director and board member for Expressions Magazine, where she writes a monthly series entitled "Profiles of Second Amendment Women." To learn more about the extensive line of award-winning Ruger firearms, visit Ruger.com or Facebook.com/Ruger. To find accessories for Ruger firearms, visit ShopRuger.com or your local independent retailer of Ruger firearms.